Ever wanted to know what it’s like to tour in Up with People? You asked, and we’ve delivered! We’re excited to announce our new YouTube & IGTV series, A Week In the Life of Up with People! Throughout the tour, we’ll be featuring cast members, study abroad students, and members of our cast staff so you can get an inside view of life on the road. We’re stripping it down to just one person and their smartphone as they film themselves throughout the week in different parts of the world. You’ll follow students throughout their community action projects, show days on tour, leadership workshops, host family days, and travel stories during their international gap year experience. This series will exclusively be on the Up with People YouTube channel so make sure to subscribe to get your weekly updates! 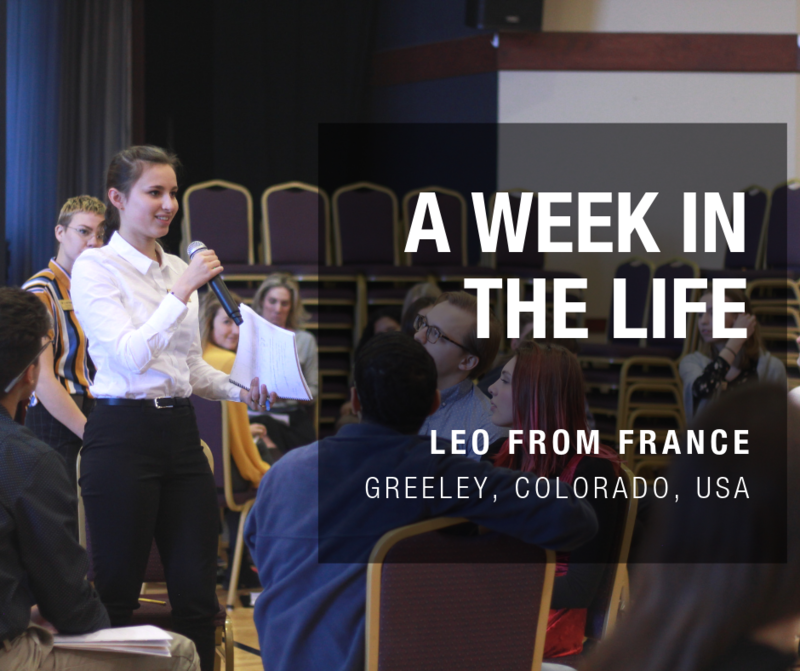 To kick start our series, we asked Leo, a second semester cast member from France, to film herself during her time in Greeley, Colorado in the United States. Sit back, relax, and hit play to watch Leo’s fun filled, jam packed week of travel, service, and performance in Up with People Live on Tour. Subscribe to our YouTube Channel and follow us on Instagram so you never miss out on the latest from Up with People on the road!